Please Enable Cookies to Continue! 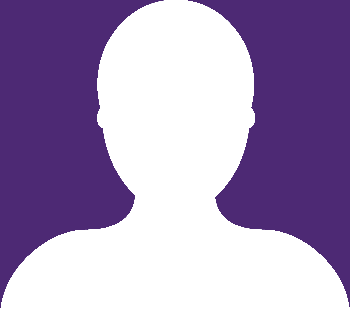 By creating an account at WTSO you will be able to shop faster, be up to date on an orders status, and keep track of the orders you have previously made. The extra time, care, and quality that goes into a Riserva bottling is splendidly evident in this 2011 Andretta Brunello. The complexity of ripe fruit, varietal bouquet, and terroir-driven earthiness are intoxicatingly aromatic and delicious, with a structure to mature in the cellar for years. This is hallmark Brunello Riserva not to miss! Pre-soaking at a cold temperature for three days followed by pump-over; the density and the temperature under computer control. Perfume: Bouquet is intense and complete, with ethereal aroma of wood from aging. Taste: Full body, very tannic, smooth and powerful with strong and precise character. 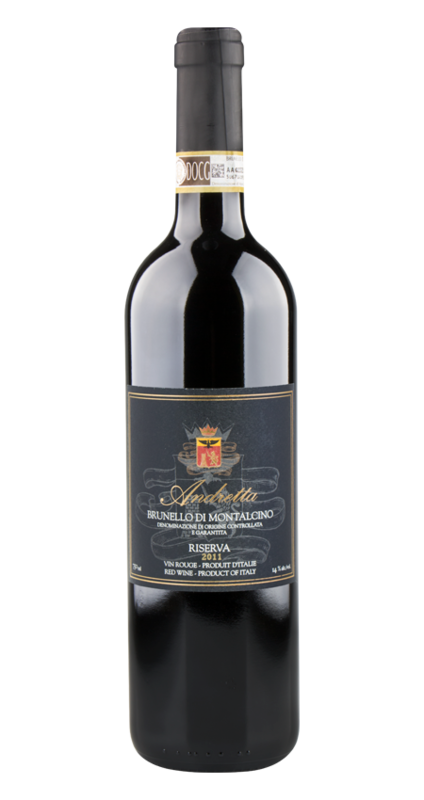 The elegance and harmonious body of this Brunello di Montalcino Andretta allow for combinations with very structured and composite dishes, such as roasts and red meats, furred and feathered game, wild boar and pheasant in particular, and possibly with mushrooms or truffles. It is also optimal with cheese: Aged cheeses like Parmesan cheese and Tuscan pecorino. It goes perfectly with international dishes with meat sauces, or structure. This wine, due to its characteristics, is enjoyable as a sipping wine. Must be served in crystal glasses for red wine at a temperature of about 16-18 degrees C.
Welcome to Wines ‘Til Sold Out! Whether you are a returning member or coming across WTSO for the first time, you've come to the right online wine shop for flash wine sales that will change the way you shop for your wine. Since our beginnings a decade ago, our online wine store's membership base and service area have grown, but our goal has always been the same: to let our members experience the world's best wine at inexpensive prices. To achieve this, our flash wine sales feature only top wines selected by our team, all at inexpensive, discounted prices. Over the years, WTSO has made connections with many of the greatest wine sellers, winemakers, and distributors in the world, allowing us to cultivate an unmatched online product selection and pass on significant savings to our members. We are delighted to be able to provide our members with our favorite wines, from the best French White Bordeaux to sweet American Cabernet Sauvignon to that dry yet easy-drinking Italian Chianti wine. WTSO is proud to do business with hundreds of wineries and distributors online, and we are always looking for new brands to feature on our website. Each bottle that we offer is hand-picked with careful consideration toward every aspect of the wine. Once we have chosen a wine that meets the standards that our members have come to expect, we queue it to be featured for sale in our online wine store. The bottle will then become part of a flash wine sale, wherein we offer that specific bottle for a limited period of time or until it is gone. Due to the high quality and sometimes rare nature of the wines we offer, wine deals online can last as little as one or two hours before selling out. Regardless of what kind of wine you buy, you can count on free shipping from WTSO with minimum purchase. We guarantee safe and secure wine distribution and mailing methods so that no matter the size of your order, you can rest assured your purchase will arrive fully intact and ready to enjoy. A large part of what has made WTSO one of the world's most popular online wine stores retailers of wine is our unwavering commitment to the quality of the products that we sell. Deciding which wines to feature in our shop is no simple task. As part of our company policy, we would never offer any brand or product that we would not happily drink ourselves. That's why we carefully deliberate over each bottle and select only products we truly feel are good enough to be featured for sale on our site. It is this dedication to quality that keeps our members coming back week after week and bottle after bottle. With a strong emphasis on finding some of the most unique and sought-after wines available, WTSO's wine retailers guarantee that you will never be disappointed with the product you receive. In addition to our current featured offer, WTSO gives members an opportunity to receive extra wine delivery gifts from a hand-selected collection of wines. These inexpensive offers involve a themed group of wines that are grouped together by our team of experts specifically for your enjoyment. They're great for expanding your palate or for when you're gift-shopping. Since the offer changes approximately once a month, you might find a bonus offer for sparkling wines one month, a group of sweet Italian white wines the next, and wines from a single vintage the month after that. Just like our ongoing current offer, these bonus wines are available to buy at discounted prices. We are always excited to offer WTSO Marathon Days, a fan favorite among members. While we provide our members with the top deals on quality wine every day of the year, we also hold occasional flash sale Marathons, where we typically sell out of over 70 wines in one day. Each Marathon features various types of wine, from French and Italian favorites to new American varietals of white wine, and includes our company-wide offer of free shipping with minimum purchase. When it comes to WTSO Marathons, however, it is important to act fast. Each wine variety tends to sell out within 15 minutes or less! To keep an eye out for our next Marathon Day, subscribe to our newsletter. Yet another popular deal from WTSO allows you to taste different wines every single week - for just $39.99-99.99 per order. When you sign up for Weekly Tasting, you will receive the week's tasting set of four different bottles, with no added shipping cost. Not only are our wine deals online a good way to broaden your knowledge and wine-tasting palate, but they can also inspire social gatherings that may quickly become the highlight of your entire week. And don't worry if you don't know your dry Italian Cabernet Sauvignon wine from your sparkling Beaujolais wine, or your wine vintages from your varietals — each tasting set comes with educational material so you can learn while you enjoy each bottle! And it doesn't stop there. One of the things you can rely on with these wine sets is variety. On one week you could look forward to receiving French white wine and Italian red wine. And as you order each new pack, you could expect sweet white wine and a crisp rosé. The possibilities are endless; and you can't find such combinations at just any wine store. As an online membership-based wine seller, we believe our members are truly what make it possible for us to do what we do at WTSO. For that reason, we are committed to providing 100% customer satisfaction to each and every person who becomes a member of our online wine shop. Our dedication to our members includes a store policy of total customer service empowerment. If you are in any way not fully satisfied with your purchase — for any reason — a representative on our wine store's customer service team will grant you a refund or replacement immediately. Our team can always be reached by email or phone, and is available to answer questions and address wine mailing or product issues. No matter the reason for your call, whether you forget the name of that Italian wine you loved or you didn't receive what you expected, we'll be more than happy to hear from you! While our daily wine deals are only available to members of our wine store, the good news is that membership is 100% free of charge, and the online registration process itself is simple. Once you have become a member, all that's left to do is start shopping to receive the daily wine deals you've been wanting! When you find a bottle (or multiple bottles) that you want, they will be shipped from our climate-controlled warehouse in secure packaging in just a few days. Become a WTSO member today to experience the best flash wine sale site on the internet! *"Comparable Price" means the price at which the same or a similar wine with the same primary grape varietal and appellation or sub-appellation has been offered for sale to consumers directly by a producing winery or through retailers. © 2019 Wines Til Sold Out - WTSO.com. All rights reserved. Please provide comment to send! Thank for signing up for our email alerts! You will now start receiving notifications of our offers and special events!